Hemiplegia is a neurological condition that effects one side of the body in a similar way to a stroke. 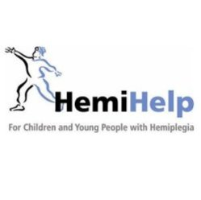 With effect from 1 April, HemiHelps’ services are now being provided by Contact, the charity for families with disabled children. providing the opportunity to attend local events and workshops for families living with hemiplegia. Contact will keep HemiHelp’s identity in the short term, and are committed to maintaining these services. They can also provide additional support to families, including a free helpline and online advice and support. For more information, please follow the link to visit their website for regular updates, or contact via email using the details provided. Follow Hemi Help on Facebook. Follow Hemi Help on Twitter.